8366 Morningdew Dr. Reynoldsburg OH 43068 was just sold by Sam Cooper Realtor with HER Realtors. Sam Cooper sold this Stony Ridge Reynoldsburg OH Home in March 2013 with a selling price of $136,500. This one-story, 3 bedroom, 2 bath home is located on a quarter acre lot close to a park and bike trails. 8366 Morningdew Dr. is full of updates including newer roof, air conditioning, carpeting, and fixtures, and remodeled baths with tiled flooring. The home also features a great room with fireplace, cedar three seasons room, two tier backyard deck, vaulted formal dining room, large, welcoming entry, partially finished lower level with rec room, over-sized laundry room, and a big master bedroom with walk-in closet. If you know anyone that may be interested in selling or buying a Stony Ridge Reynoldsburg Ohio Home, please have them contact Sam Cooper HER Realtor. 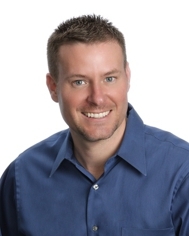 Sam Cooper is one of the top agents in Reynoldsburg OH.